With WordCamp Europe quickly coming up, I would like to do a call out for anyone coming to the Contributor Day and can lead one of the following groups/ sub groups to please comment below. We have had p2 call out, a chat on Slack where we reviewed the p2 results and have grouped the following things as items for the Community team to concentrate on. Internationalising the handbook as required to give better support for non North American events and/ or organisers whose primary language is not English. People who enjoy writing/ checking spelling mistakes/ grammar etc. Please have your own laptop for this. If you are thinking or have already submitted a meet up or WordCamp application, please let us know. We will try and do as many orientations as possible during the Contributor Day. Group orientations for people interested in moving their meet up group to the WordPress chapter account. Group orientations for people interested in organizing a WordCamp, to give folks an idea of the process and what’s expected. Have a question about organising a WordCamp, meet up, about the Chapter program or the community team? Got an issue you would like help on? Have a issue or pain point when you are organising community events for your local community? We’re here to listen and help! This is where we invite every one from the community regardless of your background to find the help you need. We did this last year and it was really beneficial. It also enabled local community organisers to share their pain points of working with the guidelines which you rarely hear them talk about otherwise. It would be good to have a minimum of two deputies on this roll at any given time. For those interested in becoming a community deputies and are mentoring WordCamp organisers. Please comment that you would like to be mentored at the WordCamp Europe Contributor Day. 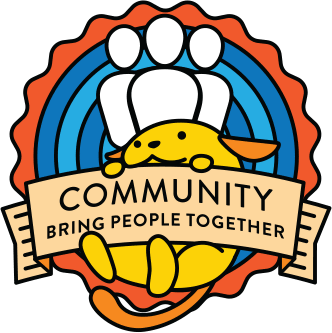 If you do have any other ideas of things that you would like the Community to team to do during WordCamp Europe Contributor Day and it doesn’t fit into one of these groups, please let us know in the comments below. I’ll be there and happy to help wherever you want to put me. As discussed on Slack, I am more than happy to do orientation for new Meetups! So many things happening on Contributor Day. I’d love to attend the Orientation training for WordCamp organizers! This should come in handy for preparing our first WordCamp Bucharest event happening this October! I will be there and can help where needed. I can be if use with #1,2 or 3. Financial Management Docs for do_action Charity Hackathons and Intro to OS Workshops are now Live!